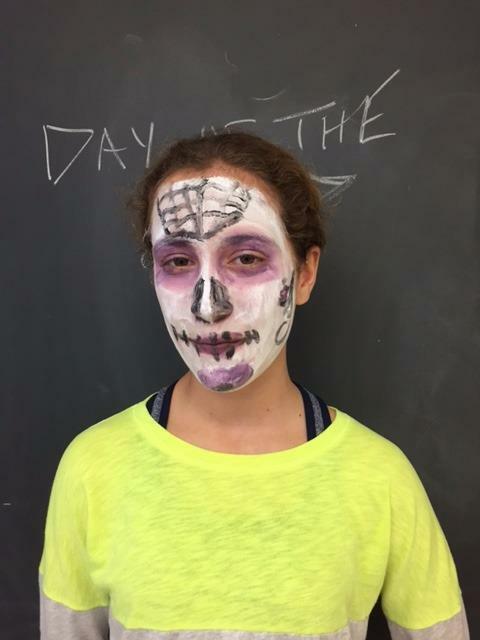 Mrs. Lancaster's Grade 6/7 class celebrated the Day of the Dead on Friday, October 28 by painting their faces. The students researched images and planned their designs. Using sponges, brushes, face paint, and a mirror, each student used their face as an art canvas. Their creations were fantastically frightening!